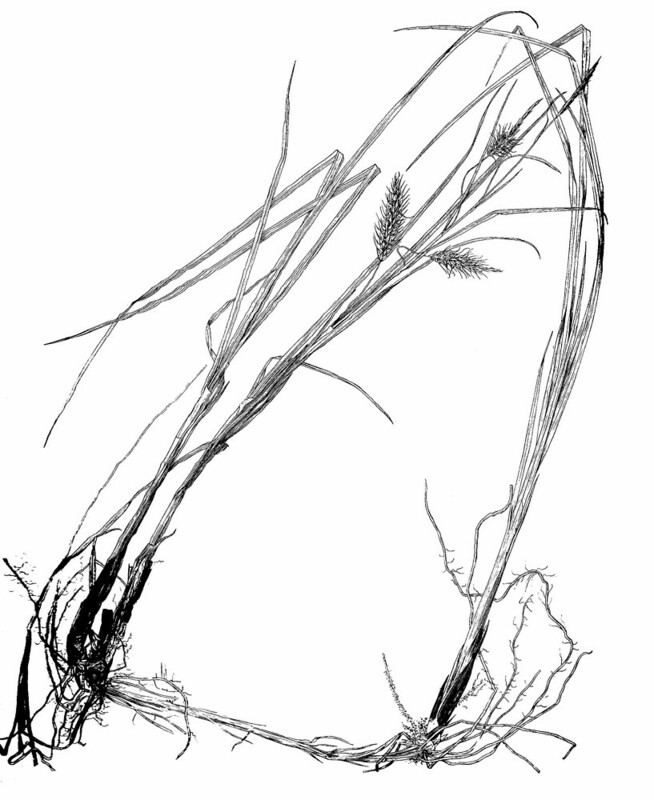 Chaffy sedge is a salt marsh sedge of the central to northern New England coast, and the eastern and northern coasts of Canada. 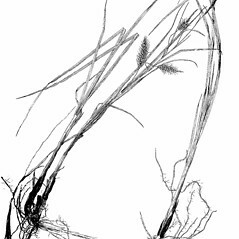 It forms colonies from long, rope-like rhizomes. It occasionally forms hybrids with other species that may be found in or near its coastal habitat. 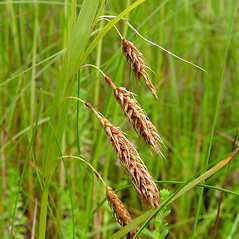 Carex paleacea var. transatlantica Fern. 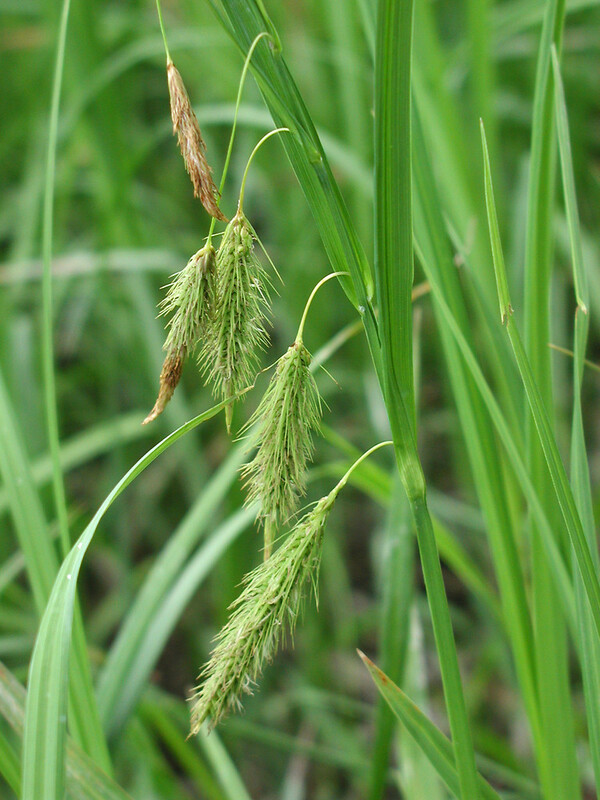 chaffy sedge. 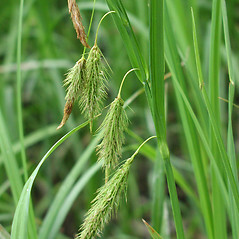 Carex crinita Lam. var. 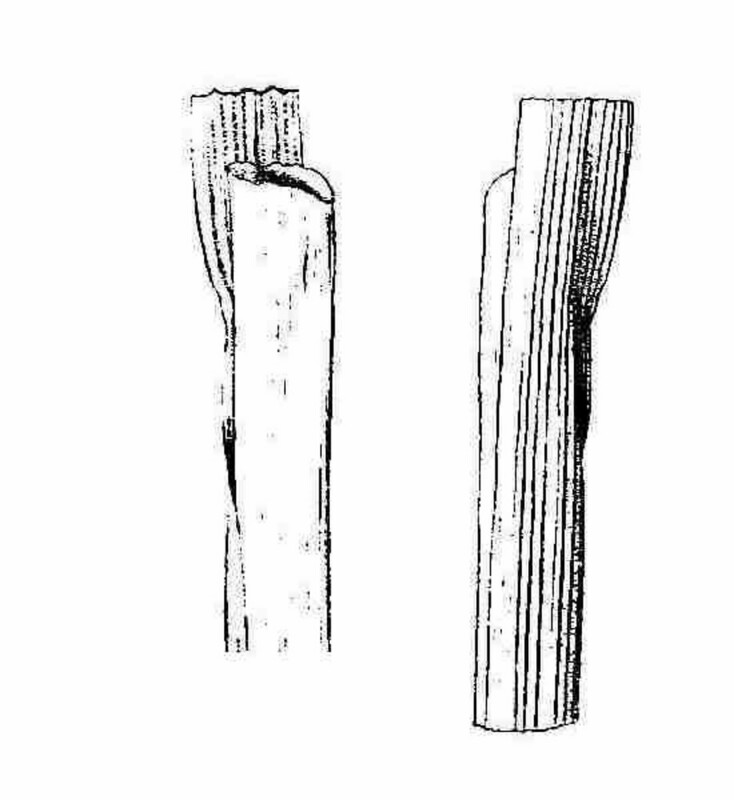 paleacea (Schreb. ex Wahlenb.) 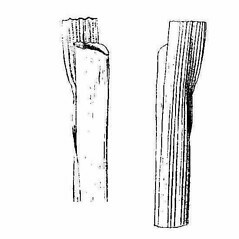 Dewey; C. paleacea Schreb. ex Wahlenb. var. transatlantica Fern. • MA, ME, NH. Saline and brackish marshes. 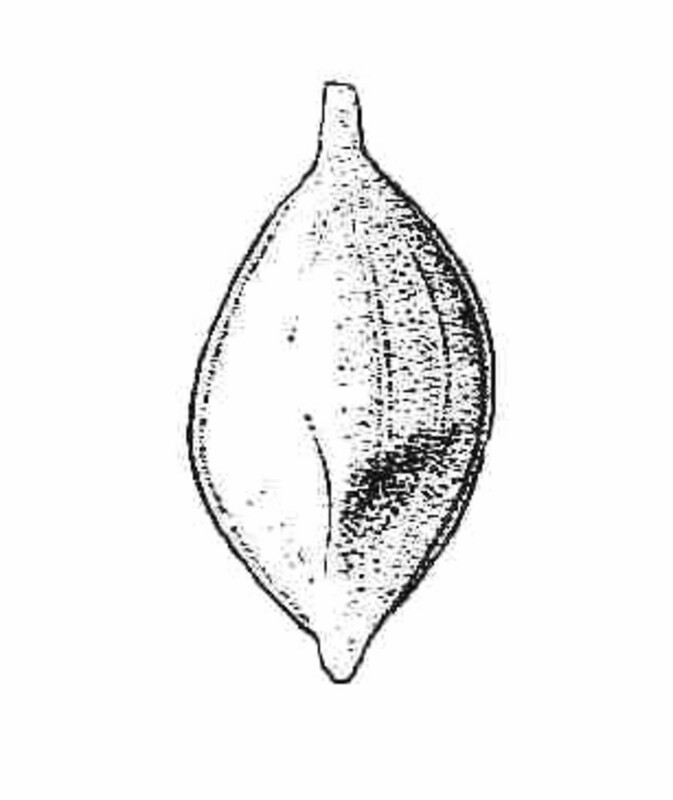 139×141. Carex paleacea × Carex stricta → This rare sedge hybrid is known from MA, ME, NH. 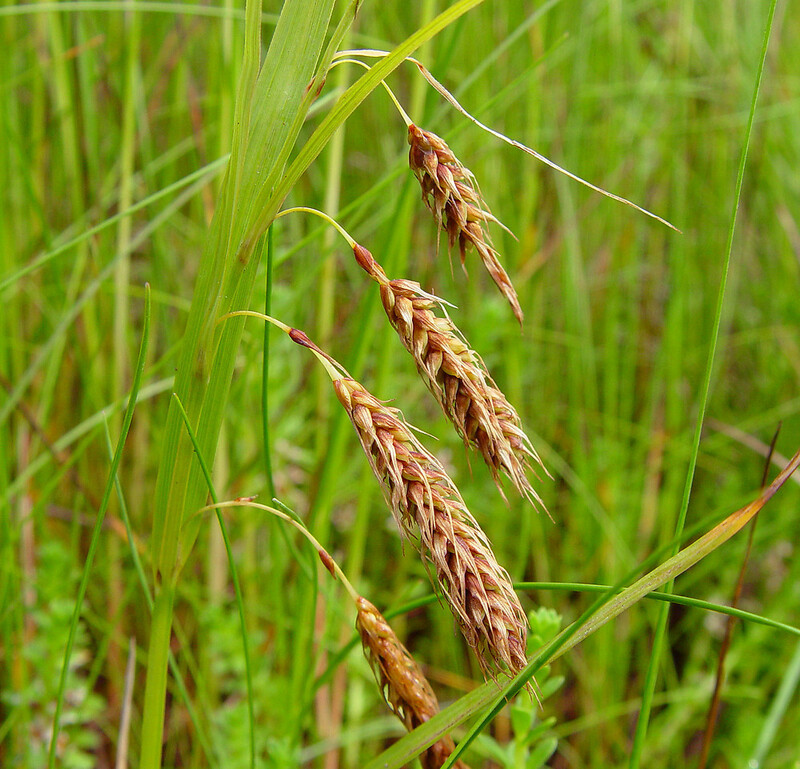 It is very similar to Carex recta and C. vacillans (see identification key). 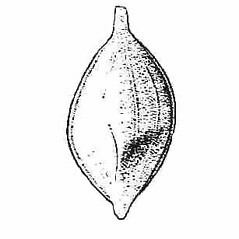 It can be separated from both by its leaf blades that usually lack stomates on the adaxial surface (present in both of the aforementioned species) and its relatively consistent production of prominently ladder-fibrillose basal leaf sheaths (this feature usually lacking in the aforementioned species). 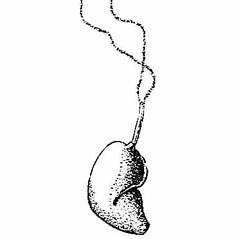 From C. recta it is further distinguished by its nerved perigynia (usually 1–4 ± prominent veins on mature perigynia) and by its nearly complete sterility ( C. recta usually produces many mature achenes). 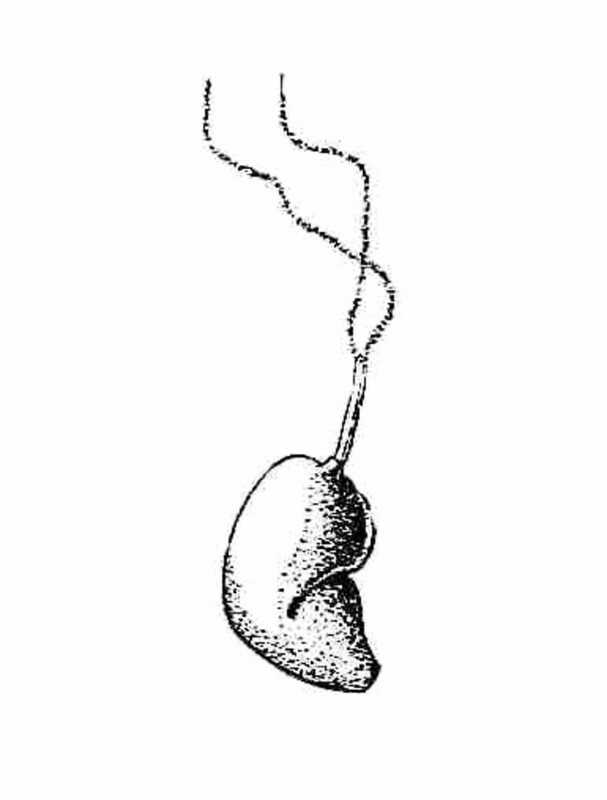 From C. vacillans it is further distinguished by its relatively broad, pale central band on the carpellate scales, narrower perigynium apex (acute in this hybrid, rounded or nearly so in C. vacillans), and absence of scabrules about the orifice of the perigynia beak.